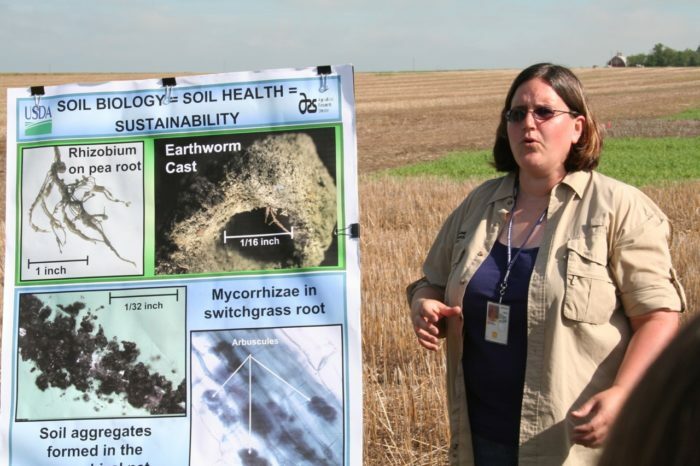 At a Field Day at the United States Department of Agriculture’s Research Farm in Mandan, North Dakota, Kris Nichols discusses the roles of soil biology in nutrient cycling and soil ecosystem engineering (i.e. tunnels formed by earthworms and soil aggregates formed by bacteria and fungi). 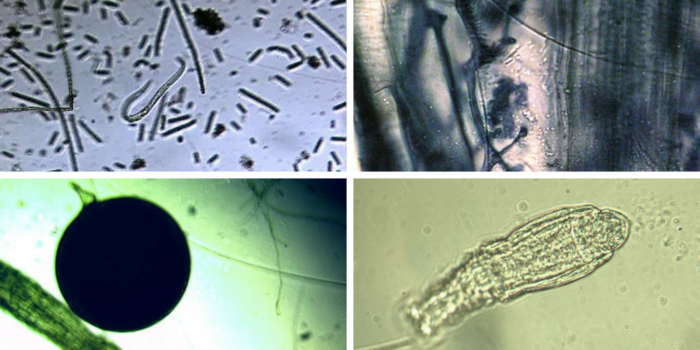 These pictures, along with the featured image of this article, illustrate some of the diversity of microbes in the soil, which provide nutrients and water (sometimes by “pooping them out”) to plants in exchange for carbon. 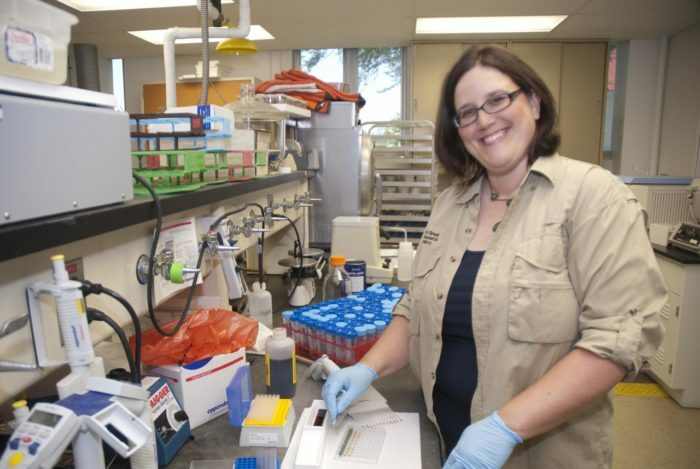 Nichols has over 25 years of research experience in the laboratory assessing soil biology. She is working on developing ways to transfer assessment tools to non-science audiences. 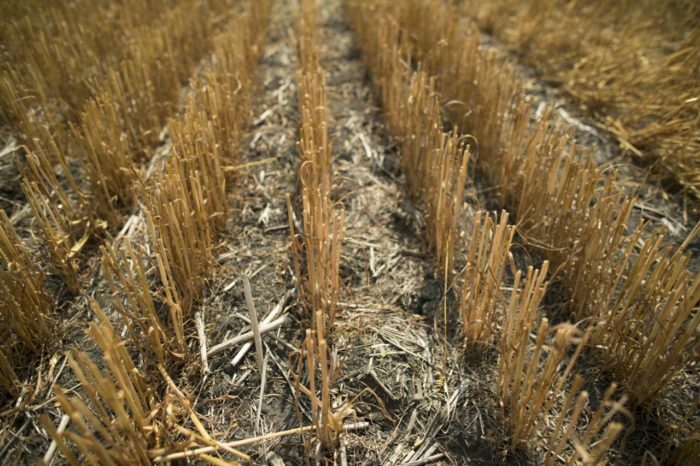 Wheat stubble helps to provide shade to retain moisture and protects the soil surface from erosive forces like wind and water. If your mother told you it’s important to chew your food, she was right. Dr. Kris Nichols, microbiologist and former chief scientist of Rodale, can scientifically prove it. “We all have microbes that process food in our stomachs, and if you don’t chew your food well, the microbes get upset and lead to a stomachache,” she says. Believe it or not, soil acts in the exact same way. In soil, the “chewers” are tiny unseen insects called microarthropods. They are responsible for breaking down organic matter so that good bacteria and fungi can attack it and release plant-available nutrients. Sadly, much of our earth has a stomachache. Certain chemicals (such as insecticides) and agricultural processes like over-tillage can kill those chewers and disrupt the cycle, preventing plants from getting the nutrients they need to thrive. For soil, a healthy diet means having most plants growing using regenerative agriculture methods like cover crops and perennials. This helps keep the bacteria – and nutrients that end up in our food cycle – alive and well. But there are also ways we all can help cure the earth’s stomachache, and it all comes down to education and appreciation. 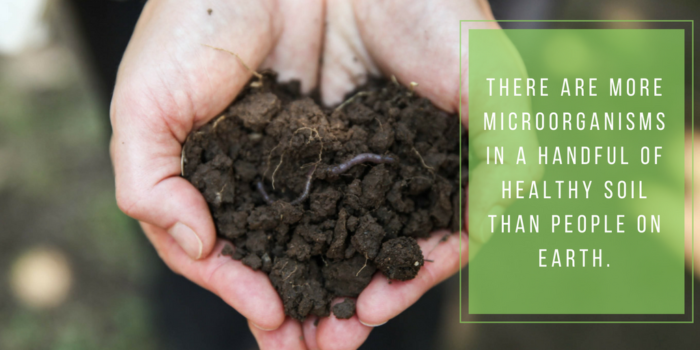 There are more microorganisms in a handful of healthy soil than there are people on earth. Given everything that goes on in this complex, unseen world, we still don’t understand how it all works. 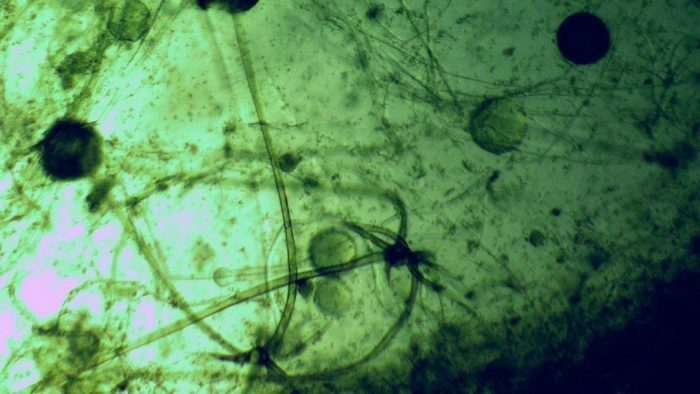 When I asked what was so great about fungus and bacteria, she explained that it defines life as we know it. We’re more bacterial than we are human, if you measure the cell count in our bodies. To spread this appreciation, Nichols plans to develop tools to help farmers, young people, and shoppers become better acquainted with soil. Nichols is quick to remind me that soil health is an urgent issue. She’s concerned we’re running out of time to tackle the one true problem, which is that there’s not enough carbon in the earth’s soil. Led by the Annie’s, EPIC and Cascadian Farm brands, General Mills is taking action to advance organic and regenerative agriculture. For example, this spring, General Mills announced a strategic sourcing agreement to convert 34,000 acres of conventional farmland to certified organic acreage by 2020. Farm operators will receive on-the-ground mentorship to advance leading regenerative soil management practices such as no till, crop rotation and cover cropping. 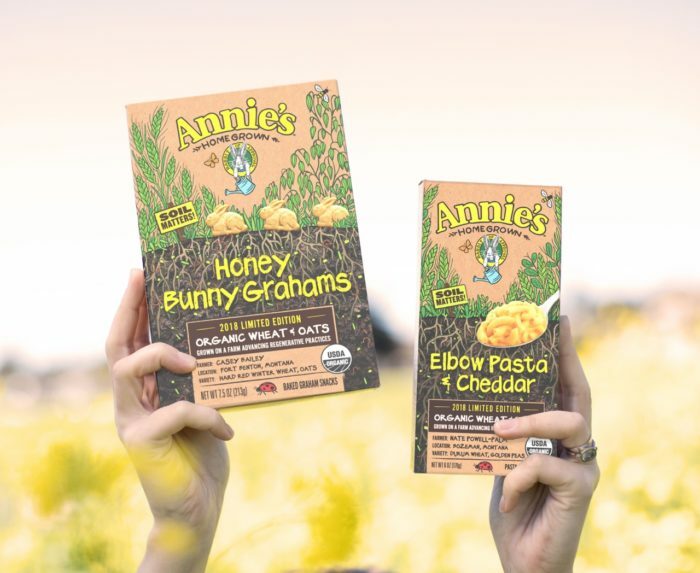 General Mills recently used organic ingredients grown on two Montana farm in limited-edition Annie’s products, including its signature Mac and Cheese. Nichols says consumers can also help fulfill this vision by becoming more educated about what it means for food to be natural, sustainable, non-GMO, organic, etc. – terms that have gotten confusing and at times misleading – and sharing opinions and concerns with political legislators. She is a member of the General Mills Organic & Regenerative Agriculture Advisory Council (ORAAC), which helps support and advance our sustainability goals. Nichols was raised on a farm in Minnesota, but she prefers the lab. When she isn’t looking through a microscope or digging through dirt, she enjoys house renovation projects and playing with her four dogs.